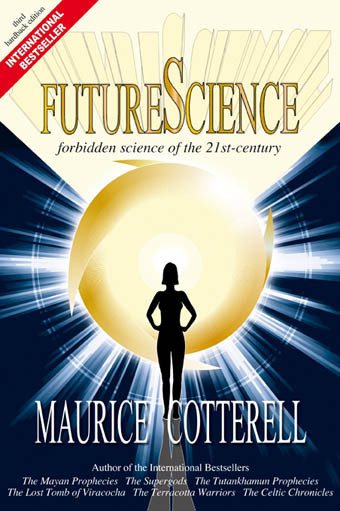 Author, engineer and scientist Maurice Cotterell returns to discuss Judy Wood’s proposal that the twin-towers were destroyed through a process she calls “dustification.” She goes on to suggest that the U.S. Government must have used a “secret energy weapon.” In Maurice’s book FutureScience he explains how anti-gravity radiation causes molecular disintegration of matter, which he says Judy is referring to. He agrees with her deductions and elaborates in detail. He’ll talk about how the U.S. possessed this technology as early as 1991 and used it on occasion. We discuss how this weapon was scientifically developed. However, Maurice also tells why the Institute of Architects’ theory, namely that the destruction of the WTC building was the result of controlled demolition using thermite, is also correct. In the second hour, Maurice talks about how today’s science is a fraud. He elaborates on how we “walk into the future backwards.” Then, he explains the “12 great mysteries of physics” by looking at the atom in a different way. We’ll also discuss the positive side of anti-gravity. Later, Maurice gets philosophical and communicates his ideas about the divine, increasing/decreasing soul voltage and prison Earth. Judy Wood – Where Did the Towers Go?